for $650,000 with 2 bedrooms and 1 full bath. This 1,096 square foot home was built in 1941 on a lot size of 7500 Sqft..
Own this great investment gem with re-zoning potential for commercial in unique & historic BUENA VISTA '“ per attached City letter '“ 'max 450 SF ANCILLARY UNIT could be built & rented. ' Located just 4 blocks from luxurious DESIDGN DISTRICT with flagship shops & exclusive art galleries. 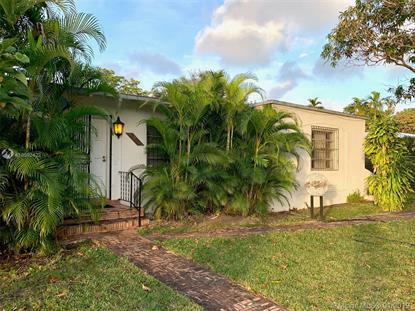 Cozy 3/2 house on 7500sf corner lot right on noted boulevard NE 2nd Ave where everything is happening!!! Literally across a neighborhood that's become a hot culinary mecca & haven for emerging retail entrepreneurs. Walk to celebrated indoor/outdoor eateries such as Mandolin, Palat & Vista with its rooftop bar. Has excellent Airbnb potential. Minutes from Design District, Wynwood, Downtown & the beaches. Seller willing to hold up to $150, 000 in a private mortgage. Easy to show but strictly sold as is.